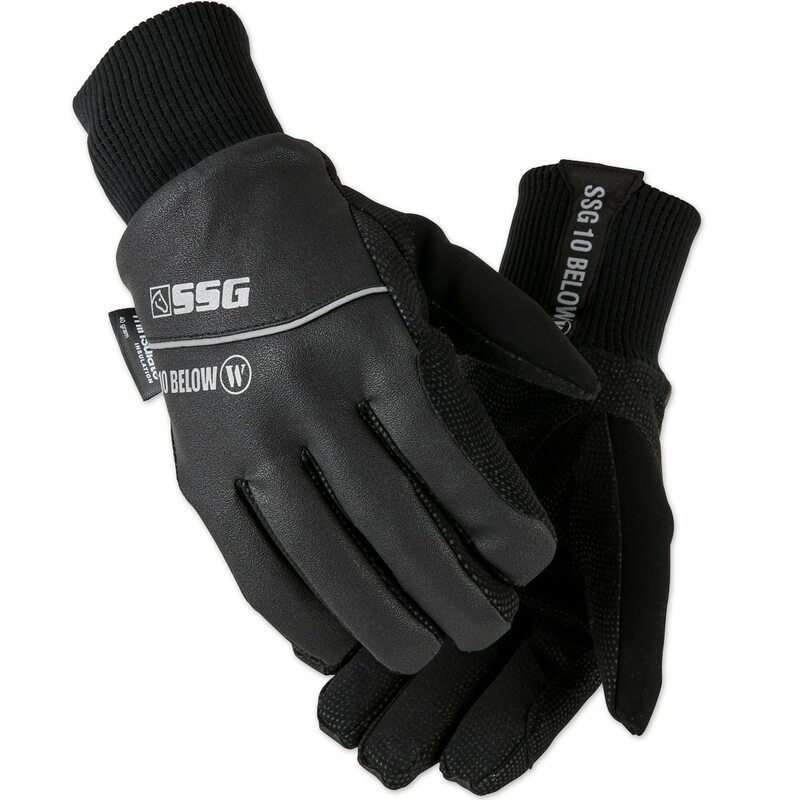 The SSG 10 Below Winter Gloves is a winter glove with supreme protection in cold weather with 4 layers for warmth! 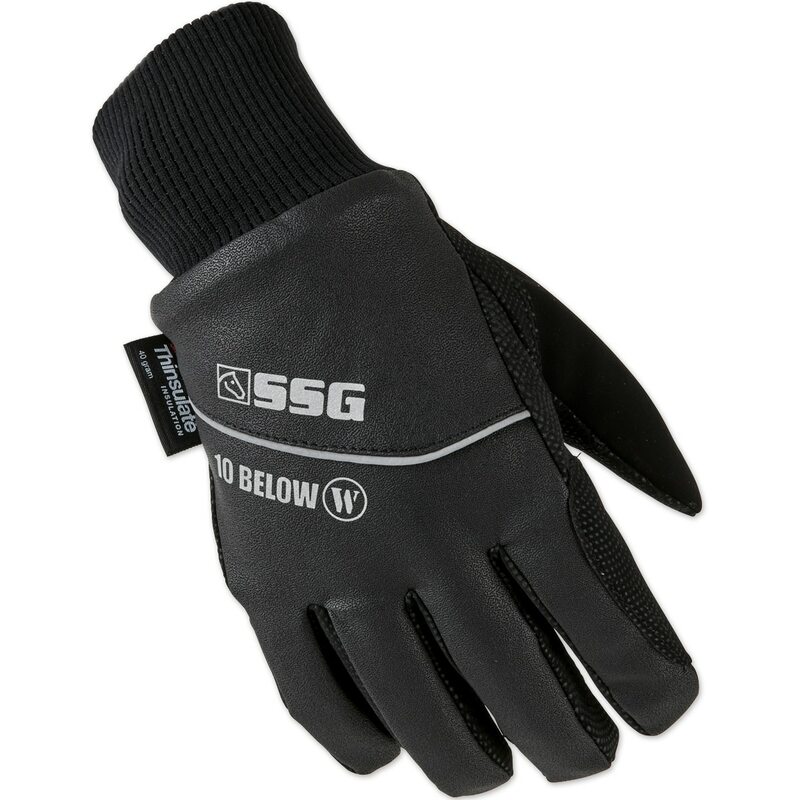 SSG 10 Below™ Waterproof Winter Gloves is rated 4.2 out of 5 by 186. Rated 5 out of 5 by sue123 from Best ever winter gloves for outdoor chores. I have worn these gloves every day since mid-December. They have been perfect for shoveling snow, mucking stalls, cleaning buckets, opening and closing gates, haltering horses, etc. They are the only gloves that have always kept my hands warm and dry, even when shoveling slush and water out of stalls. I took the advice of others and bought the large, even though the measurements stated that a medium would work. I have short fingers, but wide hands, so I am really glad that I did. The fingers are long, but they are flexible and not bulky, so most of the time I can use them to do finer things like buckles and clips. I love the strap that allows you to take them off, but not have to hold with the other hand. The cuff is a perfect length to keep hay from getting into the gloves. Unfortunately, I have worn the thumbs out (from too much shoveling this winter). The other fingers are still holding up and my hands are staying warm, but I am going to buy another pair so I'll have them as a back up. Rated 5 out of 5 by minem10 from Good Gloves For Barn Work Nice quality gloves. Completely waterproof, not too bulky, warm and comfortable. I would recommend sizing up one size as they do run a little small. Rated 4 out of 5 by blindrodie from Warm as stated! Ordered size 8 according to size chart as a woman with medium large hands. Returned for size 9, even though it said that size was a Man's...HA! Good grip and dexterity. I use for light barn work AND riding western. Probably not great for consistent barn work other than moving hay, grain bins and mucking stalls. Best for riding and being outdoors. Men with average size hands should order the size 10! Rated 5 out of 5 by Stacy from The best winter glove I have had - PERIOD! Got these gloves a few weeks ago and have worn them every day during this extreme winter, way below normal frigid, high wind, sub freezing weather on the Eastern Shore of Maryland, I have poor circulation in my fingers and these are the ONLY gloves I have owned where my hands don’t go numb doing barn chores, emptying frozen water buckets, turning horses out, etc.Even if they get a bit wet your fingers stay warm and dry. I would not submerge them of course. They even have wrist straps so you can take them off for a minute and not lose them. You can’t pick up something tiny or do something minute as they are a bit bulky bo SO WHAT!! Buy these gloves - you will be thankful!! Rated 3 out of 5 by elishagt from For the price, I was hoping for more These seem to do great in 30-40s, but this week we were in the 20s with teen windchill and my fingers were still freezing in them. They are also too bulky to ride in or do anything that requires some dexterity. They do a good job to being somewhat waterproof for removing ice from buckets, but I've never fully submerged them to try them out. I think a ski glove with a heat warmer pocket and heat warmer might be a better choice for me when it gets below freezing. Rated 5 out of 5 by leaval from best gloves ever my fingers have managed to stay warm and functional even after 3 hrs in these temps hovering around zero!